Last year we ran a Western Morning News competition for a safari into Zambia. Well we’re at it again. It’s aimed at friends and circles in England’s lovely south west – the Western Morning News catchment area. This time it’s 6 nights for two at one of the Zanzibar Collection properties including return flights from London. The selected properties are privately owned luxury hotels located on beaches on Zanzibar’s south east coast. Chosen by Conde Nast Traveler magazine as one of the “top 30 beaches in the world”. This is also home to the only National Geographic affiliated PADI 5 star Dive Centre in East Africa. On the east coast the coral reefs are accessible by boat trips for snorkelling and diving. They offer an abundance of marine life and turtles. There’s a chance to swim with dolphins at the famed laguna at Kizimkazi village. Beaches are backed by small fishing villages shaded by coconut palms. This is where fishing nets hang from wooden racks and seaweed is spread out to dry. At high tide all the dhows sail in and lively bartering for the day’s catch begins. It may be a beach break but it’s anything but boring! In addition however, you’ll have access to the Swahili culture which dominates historic Stone Town. An easy extension (not part of the competition) is the opportunity to witness the annual migration in the Serengeti. So you’ll see resident big game about. More than that however is the absolute abundance of wildebeest and zebra as they roam the plains in search of water and grazing. 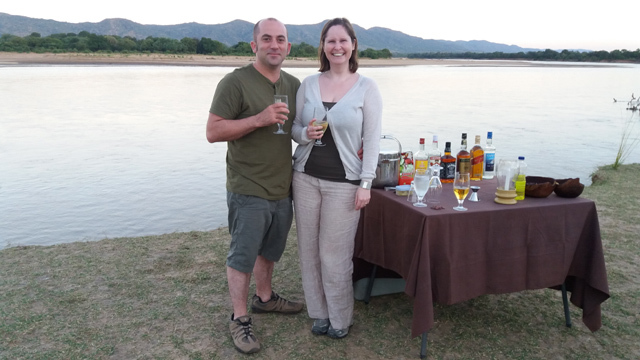 Natalie and Richard B of Plymouth had this to say about their safari into Zambia. Zambia is our top spot in southern Africa. The Luangwa valley boasts exceptional guiding standards. The game is especially good – Leopard are a speciality, elephant/buffalo are plentiful, predators are always present.  Accommodation options are comfortable and sensibly priced. Timing is quite important here. So here’s what we regard as our most successful “core” for custom safaris in the Luangwa valley. 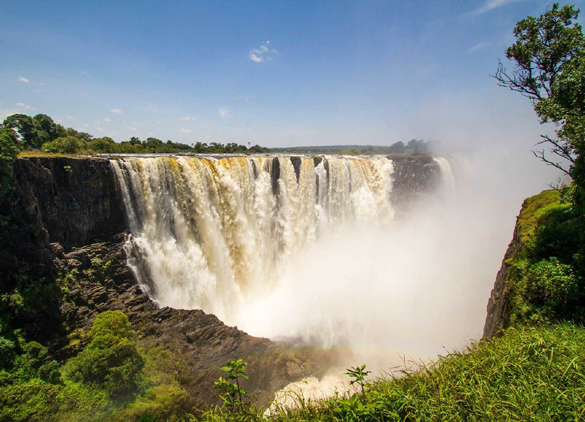 Victoria Falls is our main safari hub into southern Africa. There’s simple access into Botswana’s Okavango Delta, Chobe National Park. Also Zimbabwe’s famed Hwange National Park. This is all home turf to the Zambezi team of course. So here’s a typical week long safari from Africa’s “adventure capital” and World Heritage Site into Hwange for a proper BIG 5 safari.